The GUT-7000 is a desktop Linear IC tester. 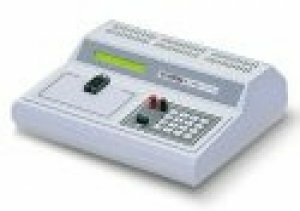 The GUT-7000 has 10 numerical keys and functions such as Auto Identify, Type, Beep, Test and Search. Various buzzer sounds notify users of test results, a feature suitable for educational training.